Before I wrap up this European track series, I’m going to post one more from Austria, that I happened to stumble across. 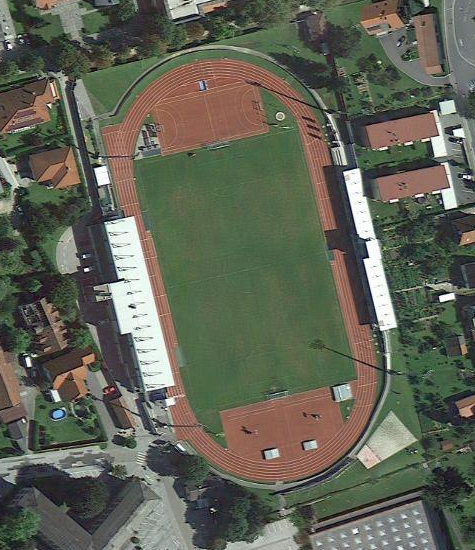 This track is found at Stadion Hartberg, a small venue that has bleachers to hold 1350 people. This looks like a nice facility for track & field, but I’m actually posting it for a different reason. This is the first track that I have come across that has a team handball court located inside of it. Being the physical education teacher that I am, I had to post this one!